Sailun Ice Blazer WSL2 tyres are a great choice that provides excellent levels of grip and stability in winter conditions and temperatures. The rubber compound is specifically designed to operate better at lower conditions and therefore operate better than summer and all season tyres in the winter months. They also tackle dry, wet, snowy and icy roads much easier than other options and this makes them a great choice for any journey you make. 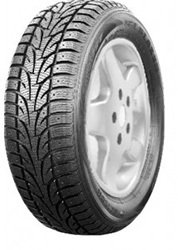 Choose Ice Blazer WSL2 tyres from Sailun for your winter weather needs.